I cut out an apple shape for the boys (older kids can cut their own apple, little kids could too actually and it might be pretty cute). 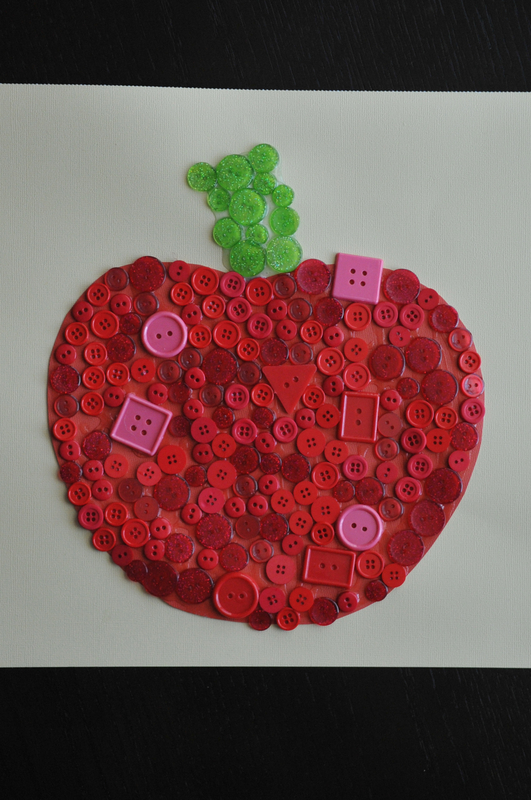 They glued buttons all over it… Then we drew the stem with glue and also glued buttons for that… See, SO SO SO easy! LOVE THAT!